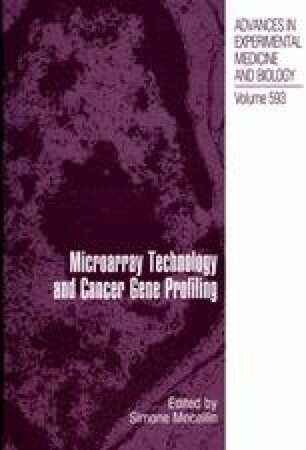 Recent developments in sensitive genome characterization and quantitative gene expression analyses that permit precise molecular genetic fingerprinting of tumoral tissue are having a huge impact on cancer diagnostics. However, the significance of the data obtained with these techniques strictly depends on the composition of the biological sample to be analyzed and is greatly enhanced by including a preprocessing step that allows the researcher to distinguish and isolate selected cell populations from surrounding undesired material. This may represent a remarkable problem: indeed, genomic and proteomic analysis in the context of cancer investigation is susceptible to contamination by nonneoplastic cells, which can mask some tumor-specific alterations. Moreover, the heterogeneity of the tissues of a histo-logical section, in which the cell population of interest may constitute only a small fraction, can represent an insurmountable difficulty for the use of quantitative techniques that absolutely depend on genomic material stricdy derived from the cells that require analysis. This is obviously not possible if DNA or RNA is extracted from entire biopsies. In the past, this obstacle was partially overcome by manual dissection from slides with a needle or scalpel; however, this method is feasible only if there is a clear demarcation between the tissue under consideration and its surroundings and moreover, allows only an approximate separation of tissues. The recent development of microdissection systems based on laser technology has largely solved this important problem. Laser microdissection is a powerful tool for the isolation of specific cell populations (or single cells) from stained sections of both formalin-fixed, paraffin-embedded and frozen tissues, from cell cultures and even of a single chromosome within a metaphase cell. Resulting material is suitable for a wide range of downstream assays such LOH (loss of heterozygosity) studies, gene expression analysis at the mRNA level and a variety of proteomic approaches such as 2D gel analysis, reverse phase protein array and SELDI protein profiling. This chapter describes the characteristics of the most widely utilized laser microdissection systems and their current applications.